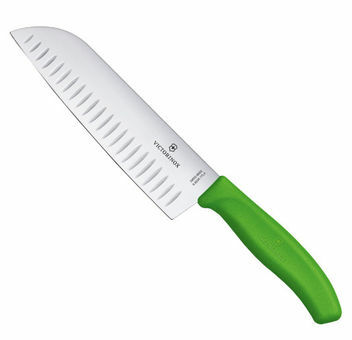 The Santoku Knife is the Japanese take on the general-purpose kitchen knife. It excels at slicing, dicing and mincing; but its biggest talent is being multitalented – and its true specialty is doing everything well. Thanks to its special shape, low weight and excellent balance, you'll find the Santoku to be a true all-rounder that's a joy to use day in and day out.